And just as dedicated to your kids as you are. Pinewoods is fortunate to have a group of educators that care deeply about inspiring children with a love of learning. Nicole is a mother of two boys. Her oldest son is 6 and her youngest is 3. They both have attended Pinewoods since 18 months. It is her 6th year assisting in a Montessori classroom. In the summer of 2018, Nicole plans to begin her Montessori Early Childhood training in Charlotte, NC. After completing her BA in Psychology Nicole lived abroad in Switzerland for 3 years working with special needs children at an international school. Her time abroad instilled a love of culture, language and travel. She holds a conversational level of French and would love to add Spanish to the list. In her free time she enjoys taking her boys to the beach, out for walks and on play dates with friends. ​Emily Armond has a B.S. in biology and a Master of Arts in Teaching from the University of Georgia. In graduate school she focused on reading and literacy, ESOL, and social justice education. She worked in the public schools in Athens, GA for six years before finding a Montessori school that felt like home. She earned her AMS certificate for lower elementary in 2015 and has taught for 4 years in a Montessori classroom. In her spare time she loves to run, hike, swim, play in a band, and make puns. Her favorite things to teach are language and kindness. Brandi spent her first year at Pinewoods as the assistant toddler teacher. After completing her B.S. in child development at Meredith College, in December 2014, she was very excited to return as a lead teacher. Brandi has obtained her Montessori certification and has been a lead teacher at Pinewoods for three years. To fulfill Meredith’s child development program requirements, Brandi was placed in dozens of schools providing her with experiences and skills from a variety of settings, though she always knew she wanted to become a Montessori teacher. She completed her student teaching at a public Montessori school. In her free time, she enjoys spending time with her daughter, Mia, playing with her dogs Bella and Zeta, reading, scrapbooking, going to the beach, and spending time with her family and friends. This is Emily’s third year at Pinewoods. Emily moved to Hillsborough in 2015, after completing her BA in Anthropology at the University of North Carolina at Charlotte. Emily has worked in clerical positions at UNC Chapel Hill and UNC Charlotte, in the International Student and Scholar offices. While there, she learned that she very much enjoys working closely with students and parents. After college, she managed a women's clothing boutique. Emily is the mother of a four year old boy who is in a primary class at Pinewoods. She is certified in Montessori Fundamentals by the Center for Guided Montessori Studies and has her first credential in Early Childhood Education. In her spare time, Emily enjoys making stained glass art and spending time outdoors with her son and husband. Gabriela has a degree in administration and in 2006 was hired to teach Spanish at Cornerstone Montessori School in Colorado. There she met and fell in love with the Montessori method. Gabriela worked for 8 years as a Spanish teacher and assistant teacher for toddlers and primary children. In 2014, she moved to NC and completed her early childhood credentials. Gaby is a mother of two daughters and is a proud grandmother. When not spending time with her grandson and granddaughter she enjoys exercising and loves to dance. This is Gaby's fourth year at Pinewoods. This is Karen's first year teaching at Pinewoods. Originally graduating with a Bachelor's degree in Nursing, and having worked in Public Health and Pediatrics, she was sparked by her children's enrollment in Chapel Hill Montessori years back. Long impressed with the Montessori philosophy, she gave up her RN job and earned her AMS Early Childhood Teacher credential in 2002. Karen was previously a Primary teacher for 11 years at an AMS accredited school in Durham; several of those years under the leadership of Caroline's father, Dave. She was also trained in the Wilson Reading System through the Augustine Literacy Project, and has volunteered to tutor dyslexic children in the community. Always an RN, Karen hopes to bring her healthful insights to the school environment. A long time local resident, Karen enjoys reading, tutoring, discovering new walking paths and spending time with family. Caroline has a Masters in School Administration from the University of North Carolina at Chapel Hill, where she also obtained her undergraduate degree in elementary education. Following her undergraduate studies, Caroline pursued her AMS Montessori Elementary Certification and taught for one year at a public Montessori school in Wake County. She spent the next six years at a Montessori school in Raleigh teaching lower elementary and interning with the administrative team. Caroline credits her father, a former Montessori Head in the Triangle, for introducing her to Montessori and nurturing her development as a child-centered educator. Caroline is passionate about the Montessori approach and building strong partnerships and community between parents, children, and school faculty. This is Caroline's second year at Pinewoods. ​In her free time, Caroline enjoys doing anything outdoors. She is an avid runner and also enjoys biking, skiing, and hiking. She loves to read, garden, and spend time with her cat, dog, and husband. ​Jenny has experience working in many different professional areas including management and personnel resources. In 2016, her son started at Pinewoods in 4th grade and she began to learn more about the Montessori method. Jenny became a substitute teacher and P.E. teacher at Pinewoods in 2017 during her son’s 6th grade year. Her son is now attending a Montessori adolescent program in Chapel Hill. Jenny is very interested in becoming a Montessori lead teacher in the future and is excited to begin her journey in the primary classroom. Her identical, twin sister is also a teacher at Pinewoods. In the summer of 2018, she began the CMTE Montessori teacher training program in Charlotte, NC. In her free time, Jenny enjoys being active and traveling. Lisa has been teaching at Pinewoods for the past two years as an assistant in primary with Ms. Lindsay. She has recently completed her Early Childhood Teacher Certification at the Center for Guided Montessori Studies. Before coming to Pinewoods, Lisa taught at Garden Montessori School in Wesley Chapel Florida where she worked as an extended care teacher and assistant teacher for the both toddler and primary students for 3 years. Lisa enjoys watching kids learn at their own pace and guiding them through their discoveries. She has a son who has been attending Pinewoods since August 2016. Her educational background includes African Studies and her Haitian background brings unique perspective when working with children. Lisa loves traveling, and in her free time she enjoys yoga, hiking, learning to play guitar and hanging out with her friends and family. Joy Langley-Parsons is the Toddler teacher at Pinewoods. Joy worked at Pinewoods for 5 years as a substitute teacher before entering training for Montessori toddler certification and doing a self-directed internship at Pinewoods from 2011-2012. Joy has been the lead teacher of the toddler classroom for 7 years. Joy has her Infant/Toddler Montessori certification, an Associate Degree in Early Childhood Education, and is currently enrolled at the University of Georgia in courses for Developmental Teaching for Students With Special Needs. In her spare time, Joy enjoys reading, exercising, and spending time with her family and friends as well as her two boxers Abby and Josie. ​Gabisu joins us this year from another preschool in Hillsborough. She spent the 2015-2016 school year substitute teaching at Pinewoods and is excited to be back working in the Montessori classroom. She has experience working with toddler and preschool ages as well as infants. Her son started at Pinewoods in the toddler classroom and is now in primary. Gabisu's daughter was born at the end of May. Her mother also teaches at Pinewoods and was thrilled to welcome another grandchild to the family. In her spare time, Gabisu enjoys spending time with her family and friends. Heather started her teaching career in Japan as an English language teacher, then worked in international student welfare and English as a Second Language (ESL) education in London for 5 years. After moving to North Carolina, she initiated a Global Education program and taught International Business at Johnston Community College. In 2010, following a love of dance from childhood and a passion for global cultures, Heather became a partner in a world dance studio where she taught adults and children. After her son and daughter were born, Heather learned all she could about child development, brain science and positive parenting and is an avid supporter of child-led learning and the Montessori method. Since spring 2017 she has led Tinkergarten nature play classes in which she helps children foster creativity, collaboration and problem-solving skills. When she isn't in the classroom, Heather spends time with her family- husband Glenn, daughter Cora, and son Sean, a kindergartener at Pinewoods. She loves hiking, gardening, eating good food, traveling and having tickle fights with her kids. ​Brittany Palacioz was born and raised on the Outer Banks and completed her undergraduate education at UNC Chapel Hill. After college, she interned at Pinewoods to earn her AMS Lower Elementary credential and stayed on to teach with Jo Ann for the next two years. She returned to Pinewoods after completing her Master of Arts in Teaching at Meredith College. Brittany loves how the Montessori method gives children ownership of their education and an understanding of the world around. Her favorite subjects to teach are Math and History. This is Brittany's 8th year at Pinewoods. Brittany currently lives in Chapel Hill. During her free time, she enjoys cooking, reading, going to the beach, and running with her dog, Buxton. This is Haley's first school year at Pinewoods after working prior years in the Pinewoods summer camps. Haley first heard about Pinewoods from her family members, Joy Langley-Parsons and Jennifer Sewell. This year, Haley's role has expanded to include helping in the toddler classroom, the afternoon program in primary, and also the after-school program. ​Haley loves working with children and is currently enrolled in Alamance Community College studying to become a pediatric nurse. ​Jo Ann Rubin has been with Pinewoods for nineteen years. She has a Master’s degree and her full Montessori teaching credential in Early Childhood and both Lower and Upper elementary. JoAnn is a talented teacher loved by children and parents alike. She is dedicated to each student in her class and is gifted at providing individualized instruction based on the unique learning style of each. Her classroom is rich with literature, science, geography, history, geometry, and art activities. In her free time, JoAnn enjoys spending time with her family, gardening and going to tag sales. ​This is Lindsay's ninth year at Pinewoods. She has a bachelors degree in education and earned her Montessori early childhood credential in 2007 from the Center for Montessori Teacher Education in Apex, North Carolina. Lindsay worked in a public Montessori school teaching Pre-kindergarten and Kindergarten before moving to Efland. She and her husband live on the farm where he works. Her love of animals, the outdoors and gardening make this an ideal living situation for them both. She is often called upon to help with farm chores and activities and so strives to bring her connection with nature and her compassion for all living things into the classroom. Lindsay is the proud mother of three. Her sons, Edward and Devon, are both attending Pinewoods and Lindsay is very proud to have them both in the Montessori environment. Dave Gehring, originally from North Dakota is very excited to join the Pinewoods community. As a seasoned teacher at both the Montessori and Public School setting, Dave looks forward to bringing 20 years of creativity and passion to the P.E. program. Dave got his start at the Alhambra Elementary School District in Phoenix, building and facilitating the Montebello Elementary Middle School Athletic Program as well as teaching Physical Education for 5 years. After moving to Raleigh, NC he accepted the challenge of starting another athletic program at a Raleigh Montessori school while restructuring their Physical Education department. Dave also enjoys an active role within the UNC Athletic Department as the Tar Heel Ambassador Community Liaison. Lisette was born in Columbia and moved to the North Carolina with her son in 1998. She fell in love with Orange County and began studying ESL Education at the University of North Carolina and Wake Forest University. She later taught Spanish at The Waldorf School for four years. Lissette also has experience working in human resources, agriculture, and farming livestock. She joined us at Pinewoods in August 2018 as a substitute teacher in primary and toddler and we have recently expanded her role as a Spanish teacher and primary resource/floater. In her free time, Lisette enjoys babysitting and spending time with friends and family. She describes herself as a free spirit, wishing one day to live on an island and spend all her time outside. This will be Jennifer's 14th year at Pinewoods. She was a primary teacher for 12 years and served as Head of School at Pinewoods for 8 years. She has a Bachelor’s degree in Music from Meredith College, Early Childhood Administration Credential and, in addition to her full Montessori credential in Early Childhood Education, is a certified Kindermusik teacher. Jennifer is committed to the traditional Montessori philosophy and believes in classroom environments that are not only stimulating but also teach peace and respect. Working with children with unique occupational therapy needs is a special interest of hers. Jennifer enjoys spending time with her children, Autumn and Bryson, as well as cooking, decorating and volunteering. ​Kerry Plunket is the mother of two Pinewoods students, Teddy (6) and James (4), and has been part of the Pinewoods community since 2013. 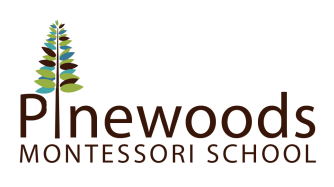 She believes that Pinewoods Montessori is providing her sons with a great sense of independence and a love for learning while respecting their individual learning styles and interests. When she isn’t parenting, she works as the Director of Human Resources for a technical recruiting and staffing firm. Kerry applies her business skills and experience to assist Pinewoods in fulfilling its mission and in fostering its sense of community. In addition to enjoying time with her husband, Bob, their boys and two rescue dogs, Kerry likes to prepare (and eat) vegetarian cuisine, read, and travel. Devaunt and his family had a goal of living very close to a great school that the kids could progress through and, after visiting many schools around the Triangle, moved to Hillsborough in 2014 mainly because of Pinewoods Montessori School. The LeClaire family currently have three children enrolled at Pinewoods in toddler, primary, and upper elementary. Devaunt is a U.S. Marine Officer, having served on Active Duty as an AV-8B Harrier Pilot for 12 years, followed by four years in the Reserves. Since leaving Active Duty, Devaunt co-founded Simple Kneads, a dedicated manufacturer of gluten-free bakery items for the Retail and Food Service markets. He now serves as the CEO of Kineomen Group, a boutique merchant bank with offices in the Triangle and Germany. He holds an MBA from Duke University, Fuqua School of Business. ​Masha Paschal is the mother of Coleman (9) , who has been attending Pinewoods since 2014. She feels that Pinewoods Montessori is not just a good school that allows children to excel academically and develop a strong sense of independence & responsibility, but also a unique community that provides great support to its members - small and big. Through the last 3 years she has supported her son’s class by being a reading parent, volunteering for field trips and helping with special events. In 2017 she decided to take the next step and joined the school's board as she believes it is important for parents to be involved and vested in order for the school to succeed further. Masha moved to the United States from Russia 20 years ago and has lived most of this time in central NC. She has worked as an IT Project Manager for over 15 years and is currently holding a Senior Project Manager position at IBM Watson Healthcare. Masha hopes that her project management skills can be leveraged for Pinewoods' benefit especially as the school is undergoing an expansion. ​Brittany Palacioz was born and raised on the Outer Banks and completed her undergraduate education at UNC Chapel Hill. After college, she interned at Pinewoods to earn her AMS Lower Elementary credential and stayed on to teach with Jo Ann for the next two years. She returned to Pinewoods after completing her Master of Arts in Teaching at Meredith College. Brittany loves how the Montessori method gives children ownership of their education and an understanding of the world around. Her favorite subjects to teach are Math and History. This is Brittany's 8th year at Pinewoods. Brittany currently lives in Chapel Hill. During her free time, she enjoys cooking, reading, going to the beach, and running with her dog, Buxton. Camille Tewell has been a Pinewoods parent since 2011. Her three children have benefited greatly from their continued relationship with the school and its dedicated staff. ​Camille works as a freelance museum educator with the North Carolina Museum of Art. She enjoys writing, fiber arts, hiking, reading, and time with family. ​Josh Woodbeck has been a proud Pinewoods parent since 2013. When Josh and his wife, Stephanie, toured the school and observed the elementary school kids measuring the distance from the Earth to the sun with toilet paper while bragging about the books they had written on invisibility and space travel, they knew they had found a special place. His daughters both started in Miss Joy’s toddler class, and have thrived thrive both in and out of the Montessori classroom ever since. Josh feels strongly that Pinewoods’ approach to education is setting his children up for a lifetime of success in whatever they choose to pursue, aims to support the school’s ongoing excellence through his service on the board. Josh and his family live in Hillsborough, where he enjoys playing hockey at the Sportsplex, running and strolling on the Riverwalk, and trying to keep up with the kids all over town. He works as a sales executive for a global IT services provider in RTP. Jennifer is the mom to 4 year old Ben who started at Pinewoods last year. Education is one of her family’s central values. She and her family are very grateful to have found Pinewoods which has been instrumental in creating a love and excitement about learning in their son. She has been especially struck by the dedicated professionals at the school and excited about the mission of the school to expand. Jennifer’s family is committed to a Montessori education for Ben and to Pinewoods thriving as it goes through this vital transition. Jennifer earned a Master’s in Education in 1995 and Doctorate in Clinical Psychology in 2006. In her 27-year professional career she has served in not-for-profit agencies, mental health centers, universities, hospitals, courts, and correctional institutions serving a wide diversity of individuals. Jennifer hopes to apply her extensive education, including knowledge of organizational and community psychology, experience in conducting qualitative research, as well as her passion for education to serve the Pinewoods community during this important transition. Jennifer is currently the owner of her own psychology practice. She and her family live in Mebane.